Bring stylish illumination to any outdoor living space with the Westinghouse Stella Mira six-light chandelier. Accentuate the beauty of your home's entryway or create a lovely AL fresco dining area. 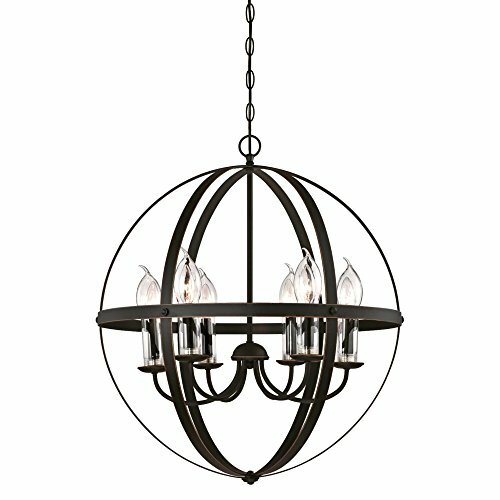 The rich oil rubbed bronze finish on this grand chandelier is hand-rubbed to highlight the beautiful design features. The six-light candelabra features clear glass candle covers that enhance the chandelier's beautiful glow. Light up a front or back entryway with this extraordinary fixture. Perfect for farmhouse-style doorways and traditional outdoor spaces. This outdoor chandelier's timeless design and durable craftsmanship ensure lasting style and beauty. It is backed by a five-year limited warranty against defects in materials and workmanship. Westinghouse is a trusted, global brand. Westinghouse knows lighting and offers products with exceptional quality, reliability and functionality. Product reference number 63390. 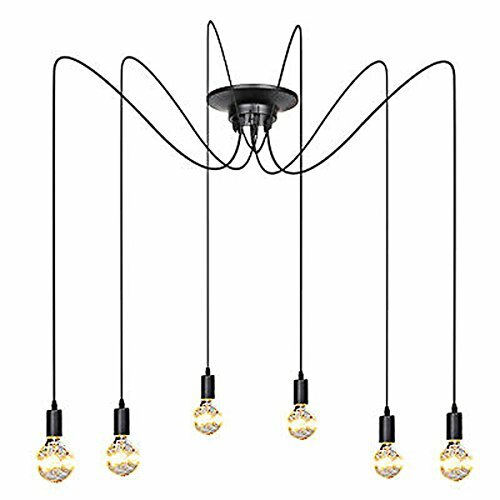 Specifications Base: Standard E27/E26 Material: Metal + PVC（plastic） Design: With the bracket & bulbs Voltage: AC 85~265V Cable Length: About 1.8m/5.9ft Heads Number: 6 Color: Black Bracket Disk: About 16.5/7.8" Package Content: 1 x Pendant Light 1 x User Manual Note: 1. 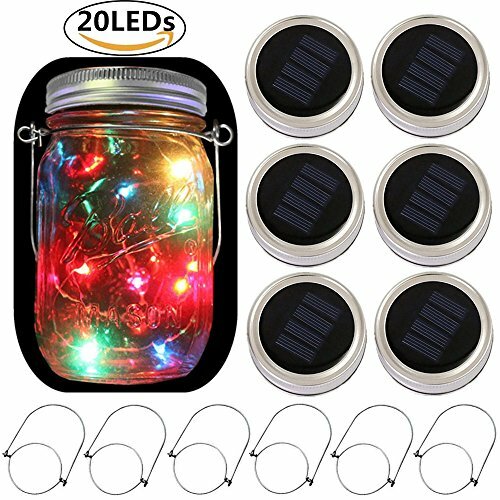 Luminous brightness is very subjective, depending on the wattage wattage may be 2. 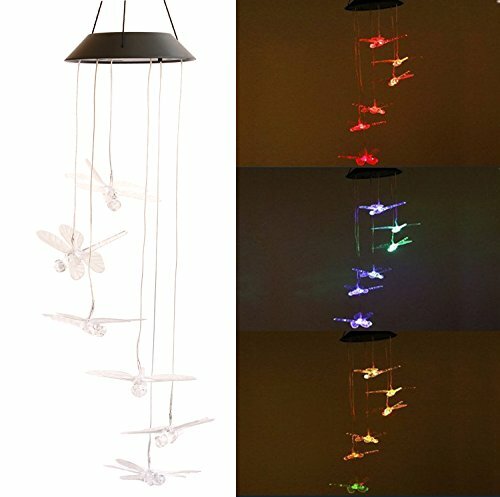 The Pendant Light do not contain Bulb ◆ Pay Attention【Important! Important! Important!】: SUGGESTION: FOR SAFETY, WE RECOMMEND INSTALLING A LICENSED ELECTRICIAN FOR INSTALLATION. 1.To reduce the risk of fire, electrical shock, or personal injury, always turn off and unplug fixture and allow it to cool prior to replacing light bulb. 2.Do not touch bulb when fixture is turned on or look directly at lit bulb. Keep flammable materials away from lit bulb. 3. All wires are connected. When unpacking, be careful not to pull with wires as a bad connection may result. 4.For a safe and secure installation, please ensure that the electrical box to which this fixture will be mounted is properly attached to a structural member of the building. 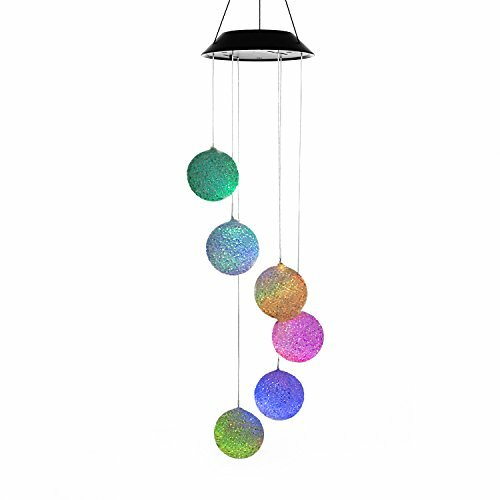 Outdoor Solar Powered Color Changing LED Light Wind Chimes, Perfect for giving away decoration in your garden yard or bedroom or parties. Great gift of birthday/Christmas/Mother's Day/Father's Day etc. 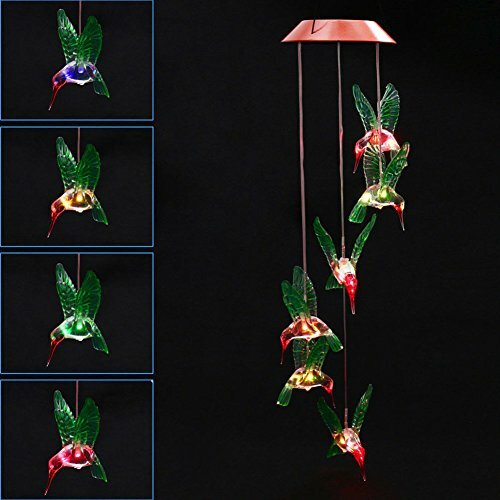 Feature: Switch: ON/OFF (Under the panel) Charging time: 6-8 hour in direct sunlight environment Working Time: 6-8h if fully charged Material: eligible and durable plastic Wind Chimes Net Weight: 220 g / 7.8 oz Package Include: 1 x Solar Powered Wind Spinner Hanging Light 1 x User Manual NOTE: 1. Make Sure the switch is correctly in the "ON" position, check by covering the solar panel with your hands,see if light turns on automatically. 2. 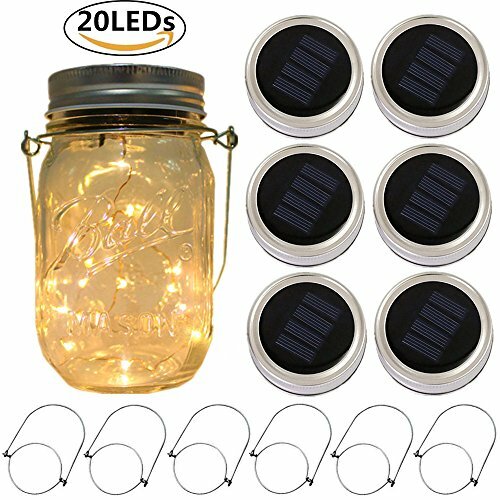 At least 30 min sun light exposure before use. Charging 8 hrs to maximize lighting time 8hrs. 3. 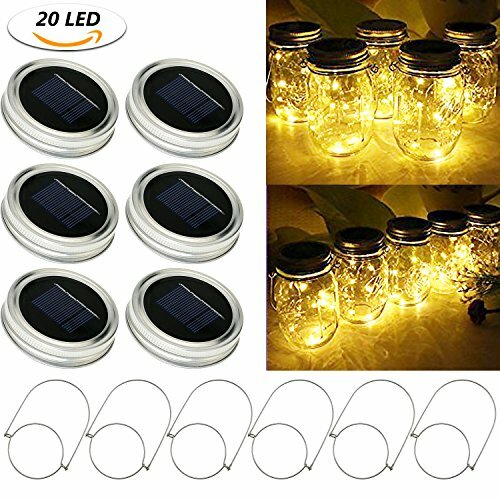 Duration of light depends on solar product's level of sunlight exposure, geographical locations,weather conditions and the length of daytime. 4. Keep the solar panel clean and direct sunlight. 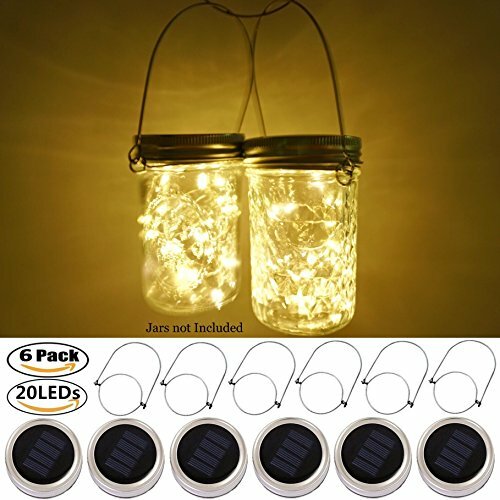 Compare prices on Outdoor Six Light Hanging at ShopPlanetUp.com – use promo codes and coupons for best offers and deals. We work hard to get you amazing deals and collect all available offers online and represent it in one place for the customers. Now our visitors can leverage benefits of big brands and heavy discounts available for that day and for famous brands.